The law firm of Mommers & Colombo, Attorneys at Law, in Melbourne, Florida, was founded on the belief that it takes compassion and understanding, along with knowledge and experience, to help individual and family clients to plan for the future. Pierre A.L. Mommers has more than 15 years of experience that can benefit you when preparations must be made for a loved one's incapacitation or death. Our skilled estate planning law firm guides clients through the process, discusses available options and drafts all necessary documentation that provide for the future financial security of loved ones. 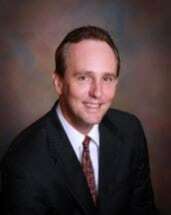 Mr. Mommers has been a Brevard County resident for 18 years and he personally relates to the issues of Floridians with senior citizen relatives from New York who have special needs. If you are building your own estate planning, and need vital information about wills, trusts, powers of attorneys, elder law and guardianships, the Mommers & Colombo law firm works hard to ensure that your assets are protected while you are alive and distributed as you desire to your heirs after your death. You owe it to yourself and your family to eliminate all confusion or questions as to what your wishes are. This is your chance to plan for the future before the future arrives. Contact our experienced estate lawyer Pierre A.L. Mommers of Mommers & Colombo, Attorneys at Law, to arrange your initial consultation and discuss your estate planning goals in detail and in confidence. 2020 West Eau Gallie Blvd. Mommers & Colombo, Attorneys at Law, serves clients in Florida cities such as Melbourne, Palm Bay, Cocoa, Satellite Beach, Melbourne Beach, Indian Harbour Beach, Indialantic, Suntree, Titusville and others throughout Brevard County and Indian River County.